Shonica Guy, a recovering gambling addict has brought a court case against the Crown Casino Group and Aristocrat, a software and hardware developer for the casino industry. 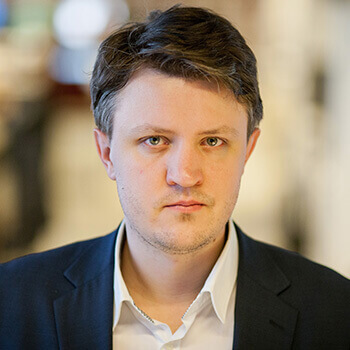 Shonica believes that pokies are intentionally deceptively designed in order to trick players into playing more and more. She says Crown Casino and Aristocrat worked together to perpetuate the illusion that the Return To Player ratios are accurate and that the games are fair. Shonica is represented by Maurice Blackburn, a law firm who brought this case to the Federal Court. Shonica told press that she firmly believes this case is not about her getting revenge on an industry she feels has failed her, but to help other people from ending up in the same situation. She says people mistakenly believe gambling addiction is their own fault, when in fact; the games are designed to be as addictive as possible. Rather than point fingers at all pokies, Shonica and her legal representatives have decided to focus on one specific, land based pokie, Dolphin Treasure. 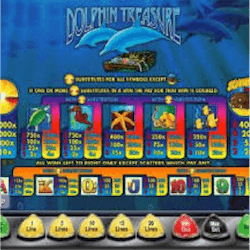 Crown currently has 38 of the Dolphin Treasure Pokies operating. Shonica’s lawyer Peter Gray told Justice Debbie Mortimer that Crown and Aristocrat engaged in deceptive business practices while he demonstrated to the court a simulated game of Dolphin Treasure. Gray went on to imply that even though there is a supply and demand relationship between Crown and Aristocrat, the two entities also have a dynamic back and forth where Crown can have Aristocrat adjust or be told themselves how to adjust the settings on their machines in order to cheat the public and make the machines more profitable for themselves. Naturally Crown and Aristocrat defended themselves. They did not hide their close working relationship, as Ron Merkel representing the defendants stated that 1000 of Crown’s 2600 pokies were developed by Aristocrat. He reiterated though the integrity of the industry and said that Crown has no access or knowledge that would aid them in adjusting any of their machines personally. He also reiterated that Crown is regulated by the Victoria Commission for Gambling and Liquor Regulation so the industry has a lot of oversight. The industry in Australia is especially is very heavily regulated in order to protect and inform consumers. For a player to claim to be addicted to a pokie for 14 years due to them being tricked or mislead by the game and the industry is quite a statement and so far, Shonica has yet to provide any solid evidence to show any kind of collusion between these two companies. The chances are she won’t be able to and many believe she ill-informed about the industry and is looking for a scapegoat in the wrong places.